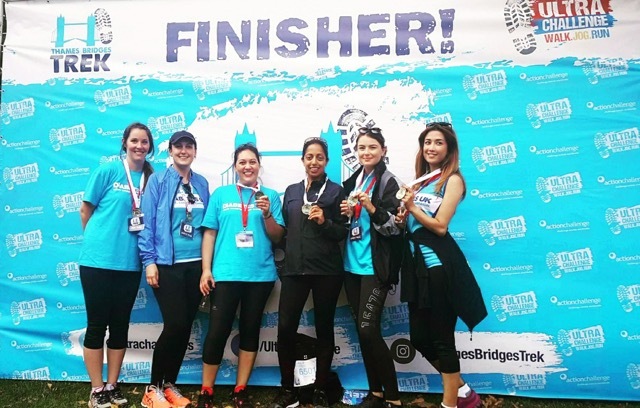 On the 9th September, Pure Periodontics took part in the Thames Bridges 25K Trek to raise money for Diabetes UK. The team had fantastic day and raised over £900 for this great cause! This charity is particularly close to our hearts as many of our patients as well as friends and family suffer from diabetes and in recent years a link between diabetes and periodontal disease has emerged – diabetes worsens the clinical signs of periodontal disease and impairs the healing process after treatment.